We've got Victoria covered. From the best places to drink, dine and play in Melbourne to adventures that take you beyond city limits. Explore the regions, pack the car and head out on a road trip or stick around and soak up city attractions. 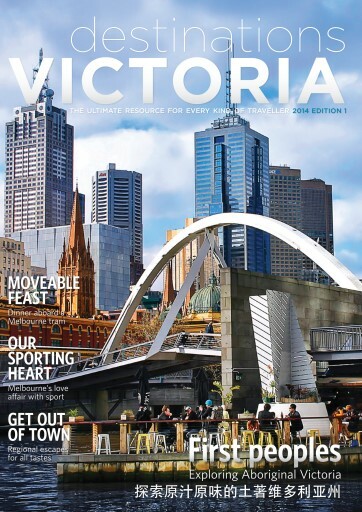 Plus, we've sought out local experts in every arena to bring you the highlights of this vibrant state – get tips on food, fashion, history, sport and where to take the kids. Destinations Victoria is the state's leading independent travel guide. Download it now and start planning your adventure.